Significance – Industrial work tunes were created by workers directly out of their own experiences. These songs expressed the toils of labor, objectives, frustrations, interests and goals. Inscription The gold is there, most anywhere. You can pick it out in lumps as big an s a brick. The Cherry Creek Emigrants Song is a supreme example of a work song a piece of music closely connected to a form of labor, either sung while conducting a task (usually to coordinate timing) or a song linked to a task. Known as industrial folk songs, these tunes emerged in Britain in the 18th century during the industrial revolution. Society evolved from doing everything by hand production methods to machines. It was a transition to new chemical manufacturing and iron production processes, improved efficiency of water power, the increasing use of steam power, the development of machine tools and the rise of the factory system. Workers sang about the changes. They took tunes with which they were familiar such as ballads and agricultural work songs – and adapted them to create music for their new experiences and circumstances. Industrial folk songs tended to be descriptive of work, circumstances, or political in nature or about heroic and mythical figures of industrial work. Legendary laborers like Casey Jones and John Henry were eulogized in blues ballads from the nineteenth century. In the days of the Kansas Territory, these songs illuminated places, people, experiences and local ways. The tunes created vivid “word pictures” of Colorado, the West, and life experiences. The gold rushes at Cherry Creek and Pikes Peak are some of the earliest known Colorado mining verses (It was still Kansas Territory at the time). The mode of composition of these songs, like the way of life for their subjects, was adaption. Miners were not born where they prospected. They molded tunes to suit their lives and if life was hard the songs were rough. 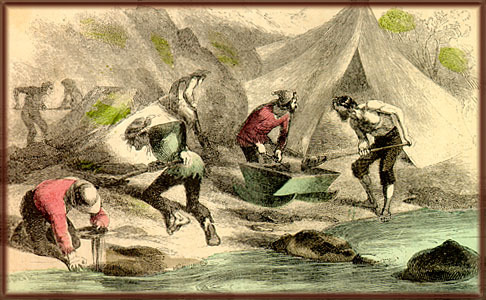 The 59er miners were confident that there was a fortune for each digger lying hidden in the Colorado mountains. They believed these riches could be obtained by labor and perseverance. Veteran miners who had worked in California, Australia and South American all concurred that some Colorado districts were richer in gold than any other in the known world. Indeed, the 59ers had faith. Not only was there gold in them there hills; additionally this majestic new land was not a bad place to put down roots. The Cherry Creek Emigrants Song that had cheered them that past spring; Theres plenty of gold, in the west we are told in the new Eldorado. The original songs of the gold rush were written in sung in the mining camps of California in the first decade following the discovery of gold. These songs exhibit every facet and mood of the great rush. Songs were written about the trek across the pains, the humor and the drudgery of mining; the hopes and disillusionment of the miners; the hardship and humbugs of life as a miner and the lasting memories of the exuberance of the California Gold Rush. 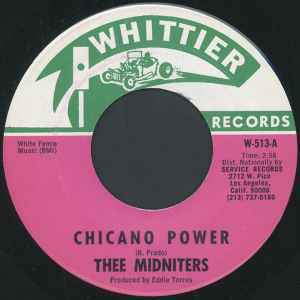 Old Put observed in his first California song, they give, in a few words what would occupy volumes, detailing the hopes, trials and joys of a miners life. Except when the Indians are howling around. Then ho boys ho, to Cherry-creek we’ll go. You can pick it out in lumps as big as a brick. Then ho boys ho, to Pike’s Peak we’ll go. At Cherry Creek if the dirt dont pay. Then ho boys ho, to the mountains we will go. But patiently wait about a year. Industrial folk songs were largely ignored by early folk song collectors, but gained attention in the second folk revival in the twentieth century, being noted and recorded by figures such as George Korson, Pete Seeger and Woody Guthrie. The genre declined in popularity with new forms of music and the de-industrialization of the 20th century, but has continued to influence performers like Billy Bragg and Bruce Springsteen. How do you define a work song? Beyond the task at hand, what were other subjects of work songs? Where and when did works songs originate? How were work songs composed? What would be the title of your work song?